Where is cotton reportedly produced with trafficking and/or child labor? According to the U.S. Department of State 2016 Trafficking in Persons Report, cotton is produced with forced labor or forced child labor in Benin, Burkina Faso, Cameroon, Kyrgyz Republic, Mali, Tajikistan, Togo, Turkmenistan, and Uzbekistan. The U.S. Department of Labor’s 2016 List of Goods Produced by Child Labor or Forced Labor notes forced and child labor in Benin, Burkina Faso, China, India (cottonseed), Kazakhstan, Tajikistan, Turkmenistan, and Uzbekistan. Child labor is noted in Argentina, Azerbaijan, Brazil, Egypt, Kyrgyz Republic, Mali, Paraguay, Turkey, and Zambia. Forced labor is noted in Pakistan. Argentina, Azerbaijan, Benin, Brazil, Burkina Faso, Egypt, India, Kazakhstan, Kyrgyz Republic, Paraguay, Tajikistan, Togo, Turkey and Zambia are listed by the U.S. Department of State Trafficking in Persons Report as Tier 2 countries. Cameroon, China, Mali and Pakistan are Tier 2 Watch List countries. Uzbekistan and Turkmenistan are listed as Tier 3 countries. U.S. Department of Labor. 2016 List of Goods Produced by Child Labor or Forced Labor. 2016. What does trafficking and/or child labor look like in the production of cotton? The nature of forced labor in cotton varies greatly from region to region. For example, in Pakistan hereditary debt ties families and communities to the land they work on. In Uzbekistan and China, forced labor is seasonal and enforced by mandatory labor requirements organized by the national or regional governments. In other cases, such as Benin, forced labor is tied to migrant workers, including migrant children. In much of the world, particularly in West Africa, cotton is grown in a small-holder context. Children often work on their family’s plot. Some children may be involved in worst forms of child labor if they are exposed to dangerous conditions including long hours, heat, and pesticides, and forego their education. In other cases, children perform age-appropriate light tasks and continue to participate in schooling, which does not necessarily constitute a worst form of child labor. Child migration in West African countries, such as Burkina Faso, Mali, and Benin, is also relatively common. Boys aged ten and above migrate from their rural homes to work on farms in other regions of the country, most often traveling to cotton-producing regions to assist in the cotton harvest. In some cases, these children migrate within well-established family or community “kinship” systems. This migration is not always voluntary as some children are pushed into conditions of forced labor. Some children working for farmers may not be paid until the end of the harvest cycle, if they are paid at all. Many times payment is deferred even longer, and the end wages are often much less than promised. Some migrant juvenile workers may be paid in goods rather than cash according to verbal agreements with the farmer. For example, a worker may request a new bicycle and clothes at the end of the harvest. In other cases, migration may be under coercion or outright trafficking. In 2012, Interpol rescued over 400 child trafficking victims from Burkina Faso, some of whom were reportedly working on cotton farms. Government-sanctioned child labor and trafficking is a somewhat unique feature of cotton production. Until recently, the Uzbek government required children to perform seasonal work harvesting cotton. Child labor in the Uzbek harvest has been banned, and the government conducted monitoring in conjunction with the ILO in the 2013 and 2014 harvests. However, there are reports that adults and older students are being required to work in cotton fields. It has been estimated that a million people – primarily civil servants – worked in cotton in 2015 and 2016 under pressure from the government of Uzbekistan, some with the threat of losing their employment if they did not comply. The ILO noted in regards to the 2015 harvest season that while some recruited workers appeared to be volunteers, “certain indicators of forced labor were observed.” The Uzbek German Forum for Human Rights reported that while cooperating with international monitoring efforts to some degree, the government also persecuted and harassed monitors in 2015. 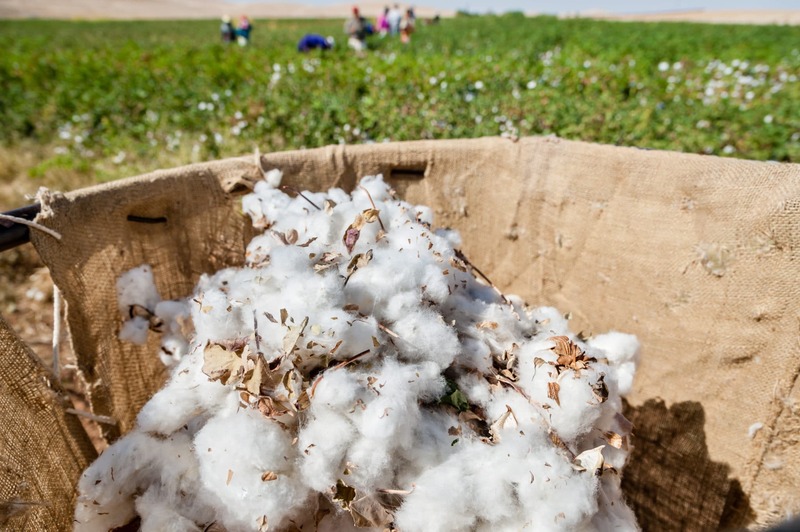 Cotton farmers in Uzbekistan typically lease the land from the government and must meet assigned cotton production quotas. However, the government also sets the price of cotton, and maintains a monopoly on purchasing as well as sales of agricultural inputs. Trafficking in the cotton sector in Turkmenistan follows similar dynamics as those at play in Uzbekistan. The government coerces farmers to produce cotton at assigned quotas and the state owns all the land in the country, which farmers lease. Farmers are then required to sell their produced cotton to the state at artificially low prices. Public sector workers are required to harvest the cotton under threat of losing their jobs and private sector businesses may also be required to provide labor or financial assistance to the annual harvesting effort. In Tajikistan, some elementary school children work in the cotton harvest. According to a 2012 monitoring report from the International Organization for Migration (IOM), much of this work is voluntary, but some may be coerced by schools. In the cottonseed industry in India, forced child labor is reportedly used in some regions for the cross-pollination of cottonseed plots. According to the India Committee of the Netherlands, tribal children from South Rajasthan and North Gujarat are trafficked to North Gujarat. Children can be involved in all stages of the supply chain: cultivation, harvesting, ginning, and manufacturing. In cultivation and harvesting, child laborers are forced to work long hours – exhaustion, heat stroke, and malnutrition are common. Children are also exposed to harsh chemicals as cotton uses more insecticide than any other crop, making up 16 percent of global use. Exposure to these chemicals can cause tremors, nausea, weakness, blurred vision, extreme dizziness, headaches, depression, and even paralysis or death. In ginning, children work without protective equipment, inhaling contaminated air, which leads to respiratory problems. The cotton industry is one of the largest agricultural industries, employing an estimated 300 million people. Cotton harvesting is labor intensive, and in much of the world, cotton is grown by small-holder farmers. After harvesting by machine or hand, raw cotton is transported to gins where it is processed. Cotton yarn is then woven into textiles, which are made into garments and home goods. In turn, cotton seed is processed such that the meal is separated from the oil; the former is used in animal feed and the latter is used as cooking oil. 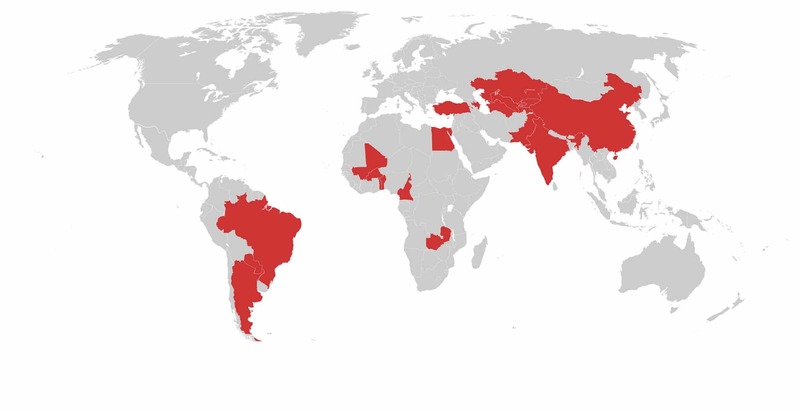 These production stages may occur across multiple countries, particularly for garments and textiles, making it difficult to determine where fibers in a given consumer item come from. For example, fibers from Egypt, Mali, and the United States may all be combined into one garment at a textile mill in Indonesia. India and China are the largest producers and exporters of cotton. Both countries produce cotton products as well. China is a major importer of cotton, and is followed far behind by India, Pakistan, and the United States. How do Trafficking and/or Child Labor in Cotton Production Affect Me? Cotton produced using forced and/or child labor ends up in the clothes we wear, the textiles in our houses, and, through cottonseed oil, the food we eat. The Better Cotton Initiative (BCI), a multi-stakeholder group, aims to improve environmental practices of cotton production and improve livelihoods and working conditions by developing “Better Cotton” as a “sustainable mainstream commodity.” BCI has set a goal of Better Cotton totally 30 percent of global production by 2020. Better Cotton bales are segregated and traceable from farm to gin. Farmers in more than 20 countries produce Better Cotton that is sourced by retailers and brands including Adidas, H&M, IKEA, Levi Strauss & Co., Marks and Spencer and Nike. Watch a video by the Environmental Justice Foundation. Read a case study by the UN Global Compact on labor trafficking in cotton. Read about the Better Cotton Initiative.